If you haven’t pulled out the tooth picks and marshmallows, now’s the time. These engineering challenges are the perfect way to spend an indoor day! The best structure building activities do not need fancy supplies. You CAN do them at home or school. 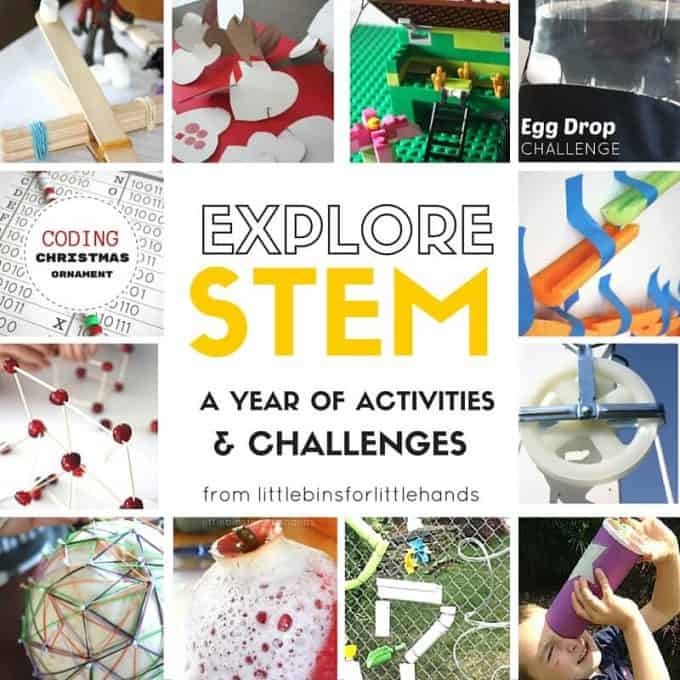 They are fun and challenging which makes structure building and awesome STEM activity for kids of all ages. THE BEST STRUCTURE BUILDING ACTIVITIES FOR KIDS STEM! My son loves when I get out the toothpicks and some sort of squishy candy or cut up fruit. He knows it is building time! Our list of best engineering projects for kids has to include the best structure building activities! Why is building structures amazing STEM play? To build a solid structure you need a good design, the right amount of pieces, a solid base, and basic engineering skills. Ahem, fine motor skills and patience included. I have picked out a handful of great materials you can use to build amazing structures and you probably already have in the cupboard. That means you can try one of these today. 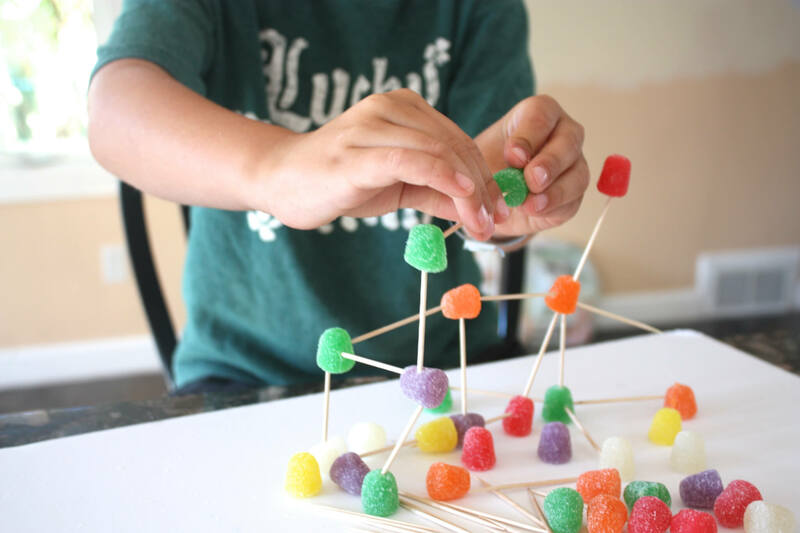 If you have read any of our other awesome STEM posts, you will know that I like to set up fun structure building challenges using easy and inexpensive supplies. STEM is all about the world around us so let’s use what we have and get creative with our engineering skills. 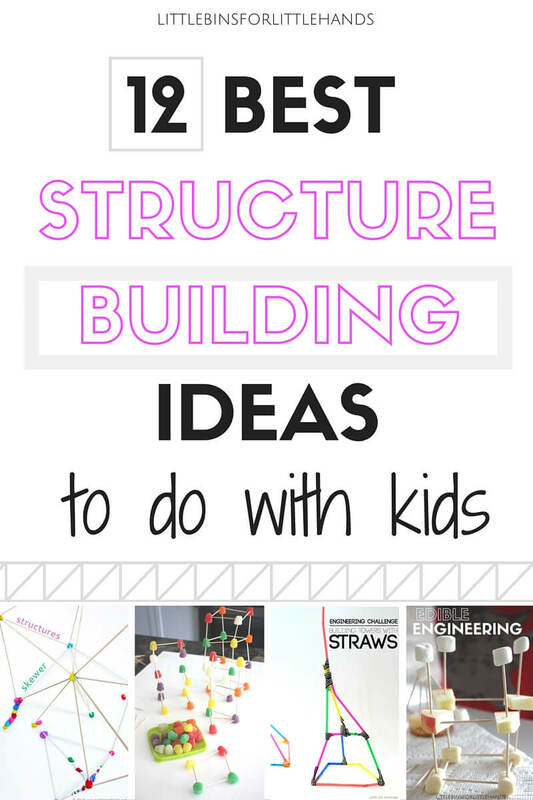 Our supply picks for the best structure building activities around! Use a variety of foods including cheese, apples, and cranberries. We made edible structures for snack time engineering last week. 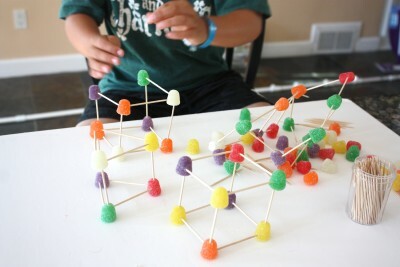 You can use any gummy sort of candy such as gum drops and jelly beans for building elaborate structures including bridges. Tasty too. If you want to use toothpicks and something other than candy or food items, try pool noodles or any other styrofoam that is chunky. We sliced up a pool noodle to make our pool noodle structures. We took our pool noodle chunks from above and added a different kind of engineering challenge, shaving cream! Pretty fun and pretty messy, but it clean up quickly too! Our structures were a little different, but we still tested out quite a few skills building with shaving cream and poll noodles. Skewers are like really long toothpicks and are a challenge all in themselves! 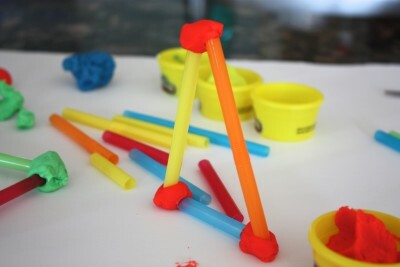 Check out this engineering activity with play dough and skewer structures. You probably already have the two things you need to get started. Straws and play dough go together like marshmallows and toothpicks! 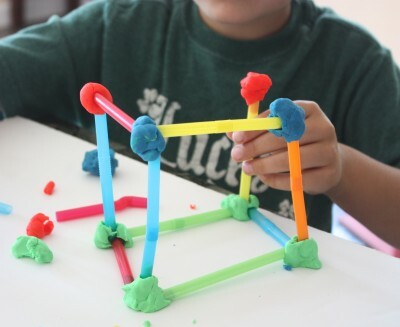 You need a slightly different building technique since you have to mold the play dough, but the structure building challenge is similar. Build a dome! How cool is this engineering challenge. I can not wait to get our pipe cleaners and straws to build these cool domes and spheres! Straws are pretty versatile. I love all the cool colored tape you can get now. Plus you can actually pick it up at the dollar store. This simple engineering challenge with straws and tape looks like a lot of fun. It’s also a great activity for the older kids! How about paper and tape for engineering challenges? This article has some great challenges to try out with just a roll of tape, paper, and some fun ideas! Plastic cups and popsicle are valuable and cheap resources to have on hand! Have you ever built a 100 cup tower. It makes a great afternoon engineering project. How about popsicle sticks and cups? These engineering challenges with cups, blocks, and popsicle sticks all look like a blast for an indoor day. Can you build a LEGO tower as tall as you are? We are definitely trying to do this over the weekend. We have tons of LEGO, so I bet we can pull it off. Grab a bunch of cardboard and cut out some simple shapes like we have for our cardboard engineering challenge. We always keep a bunch of recyclable materials on hand for structure building activities! Hope you find a new favorite engineering challenge to try today. The coolest and the best structure building activities to do with kids! MORE COOL IDEAS FROM GREAT BLOGS!